Spider webs are beautifully and intricately woven. They are incredibly strong, and for the spider’s prey, very deadly. If you brush up against one unexpectedly, you might involuntarily shudder; but when the sun shines on a dew-covered web, you marvel at its exquisiteness. It is the exact same web seen from two different perspectives. Webs can be a protection or they can lead to destruction. Most people have probably heard the story of the soldier who hid in the cave while he anticipated being captured by the enemy. Then a spider wove a web across the entrance. The enemy did not enter the cave because the web gave the appearance that the cave had been unoccupied for a long time. The spider’s web became the man’s protection. When the Lord creates our web, He can use it to shield and protect us. Sometimes, we need to retreat or regroup for a short time. Often, when I am in a “Wait” season, I feel like I am enclosed in a dark cave of uncertainty with a subsequent lack of direction. For me, waiting is difficult. It’s not that I feel like I’m floundering, but it is hard to not have a clear direction especially when it concerns important, life changing decisions. This video (despite the goofy background music!) brought back lots of memories of the time we lived in Newfoundland, Canada. 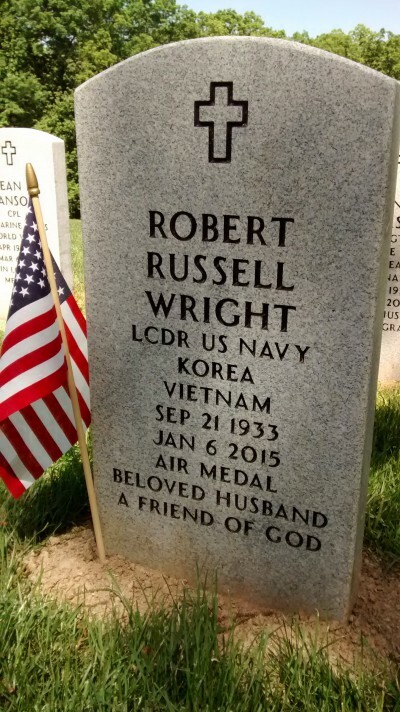 In the 1960s, my dad, Robert Wright, was stationed there as a navy pilot in VW-13 (the sister squadron to the video’s VW-11, but same air base, planes and mission). Although I was in elementary school, I remember well many of the scenes shown in this video! My dad’s mission was to fly Super Connies over the North Pole for early radar detection as part of the North American missile defense system. While there, he and my mom encountered Jesus (or maybe I should say that Jesus encountered them) and their lives became devoted to advancing His Kingdom while also serving our nation. Later, he did two tours of duty in Vietnam as a Naval aviator and squadron commander, where he saw combat and lost friends while also earning two Presidential Unit Citations and being awarded the Air Medal. He also was exposed to Agent Orange and suffered heart damage which eventually contributed to his service-related death decades later. This Memorial Day, let’s not forget those who served with honor and gave their lives to defend others.